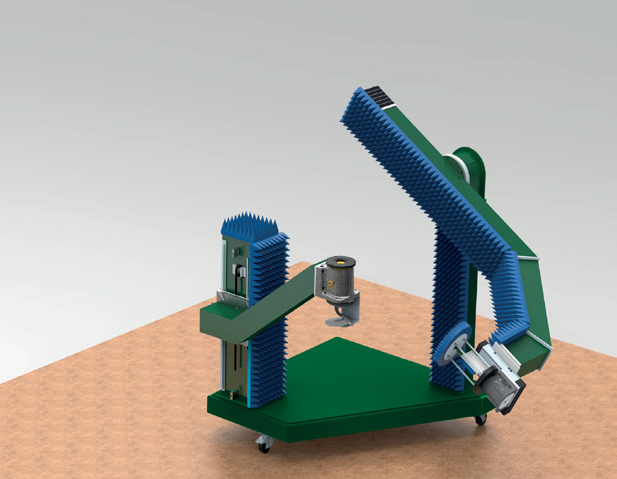 ASYSOL Gantry Arm Systems feature high-precision, backlash free EL-positioners. They comprise a lightweight arm structure with ultra-high rigidity and are available in radius sizes from 0.5m to 6m. The probe AUT distance is automatically compensated to maintain a constant radius. ASYSOL utilises industry standard brushless motors with distributed driver electronics and real-time control, delivering results of the highest speed and shortest acquisition time. 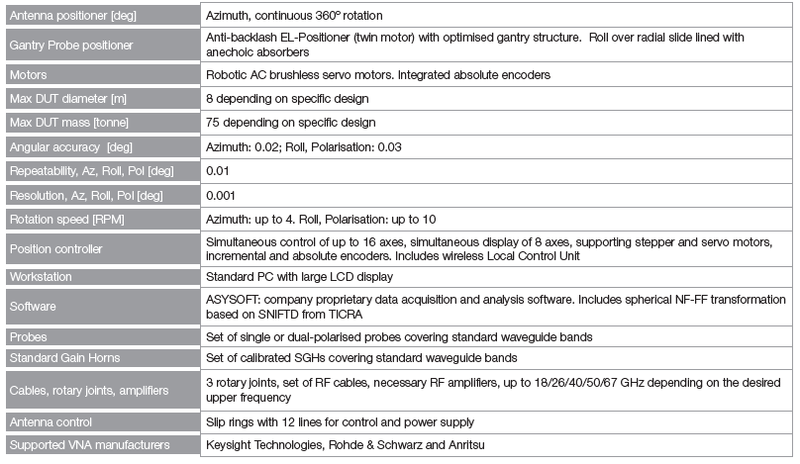 The system comprises of RF connectors, rotary joints and internal RF wiring as standard. with a test and calibration report, user manuals and documentation.